Comedy hip hop or comedy rap, is a subgenre of hip hop music that is comedic in nature, often incorporating satirical lyrics. While many examples of comedy hip hop could be considered a parody of the hip hop genre, in the case of artists who merely incorporate humor into their more serious, purist hip hop styles, such as Eminem and Ludacris, this is not necessarily the case. Run DMC's "Christmas in Hollis" from 1987 is comedy rap, and DJ Jazzy Jeff & The Fresh Prince were solidly in the comedy rap genre with the 1988 song "Parents Just Don't Understand." N.W.A and Ice Cube's early albums were not as comedic and lighthearted as The Fresh Prince but did incorporate humor. Before the darker themes that are characteristic of the Gangsta rap of the 1990s, comedy hip hop, with its lighter and more humorous style, came to prominence in the 1980s, carried by popular acts such as the Beastie Boys. Various influential comedy hip hop groups began in the late 1980s, such as DJ Jazzy Jeff & The Fresh Prince, De La Soul, Kid 'n Play, Das EFX and Fu-Schnickens and throughout the late 1990s and 2000s, rappers including Eminem, Ludacris and Afroman gained popularity, as did rappers such as Hopsin. Rucka Rucka Ali is an artist who experiments with comedy hip hop filled with racism, such as his song, "What The Black Says". "Weird Al" Yankovic has made entries to this music genre, along with Nerdcore. "Thrift Shop" by Macklemore & Ryan Lewis is also a well-known song of comedy hip hop. While few rappers make comedy hip hop their focus with the exception of a few, mainly Lil Dicky and Ugly God, the genre maintains a substantial loyal following. Outside the English-speaking world, the genre spread in the 1990s, with bands and artists such as the German group Fettes Brot, the Swedish-Finnish artist Markoolio and the French group Svinkels. ^ allmusic. "about comedy rap". Retrieved 30 December 2012. ^ Cardenas, Fabricio (13 October 2011). "Le Comedy Rap". Musicam scire (in French). Retrieved 3 June 2016. Jeffrey Allen Townes, known professionally as DJ Jazzy Jeff or simply Jazz, is an American record producer, DJ, actor and comedian who is best known for his friendship and collaboration with Will Smith as DJ Jazzy Jeff & The Fresh Prince. Yo! MTV Raps is a two-hour American television music video program, which ran from August 1988 to August 1995. The program was the first hip hop music show on the network, based on the original MTV Europe show, aired one year earlier. Yo! MTV Raps produced a mix of rap videos, interviews with rap stars, live in studio performances and comedy. The show also yielded a Brazilian version called Yo! MTV and broadcast by MTV Brasil from 1990 to 2005. 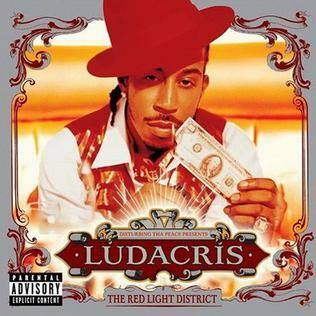 The Red Light District is the fifth studio album from American recording artist Ludacris. The album was released on December 7, 2004 through Disturbing tha Peace and Def Jam Recordings, and was eventually certified double platinum by the RIAA. It debuted at number one on the Billboard 200 album chart with 322,000 copies sold in its first week. The album's title refers to a district in Amsterdam where prostitution is common; red-light district. The CD is accompanied by a 41-minute DVD made by Decon of Ludacris visiting the red-light district, a cannabis growroom, an adult 'cam-house' and the recording of the Red Light District CD/DVD promo concert in Amsterdam, Netherlands. 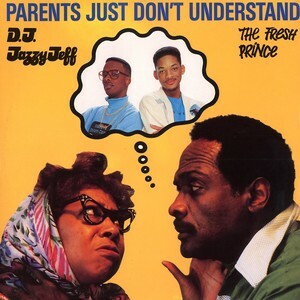 "Parents Just Don't Understand" is the second single from DJ Jazzy Jeff & The Fresh Prince's second studio album, He's the DJ, I'm the Rapper. The song won a Grammy Award for Best Rap Performance at the 1989 Grammy Awards, one of the two songs to do so before the award was discontinued in 1991. It peaked at #12 on the Billboard Hot 100. The song was released as a single in spring 1988. The song was referenced several times in the television show The Fresh Prince Of Bel-Air. The song was ranked #96 on VH1's 100 Greatest Songs of Hip Hop, and the music video was featured in the 2003 film Malibu's Most Wanted. "Summertime" is a song by American hip-hop duo DJ Jazzy Jeff & The Fresh Prince. It was released in May 1991 as the lead single from their fourth studio album, Homebase. The song was produced by Chicago-based producers Hula & K. Fingers and won a Grammy Award for Best Rap Performance by a Duo or Group at the 1992 Grammy Awards. It spent a week at number #1 on the US Hot R&B/Hip-Hop Songs Chart, as well as reaching #4 on the Billboard Hot 100. It also became the duo's first single to enter the top ten of the UK Singles Chart, peaking at #8. Pakistani hip hop is a music genre in Pakistan influenced heavily from merging American hip hop with Pakistani poetry. The genre was initially dominated by English and Punjabi, but in recent years has expanded to Urdu, Sindhi and Pashto. The lyrical expression of cultural identity, with lyrics addressing Pakistan's political and social problems, make hip hop a popular and growing genre in the country. "Yo Home to Bel-Air", informally known as "The Fresh Prince of Bel-Air theme", is a song performed by DJ Jazzy Jeff & The Fresh Prince. It is the theme song to the NBC sitcom The Fresh Prince of Bel-Air.